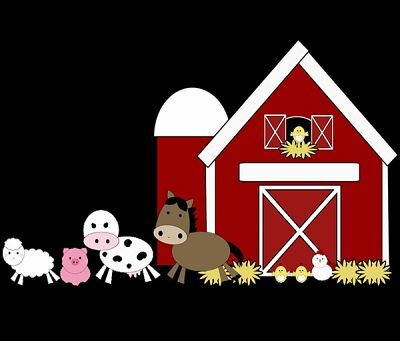 The Kindergarteners and DK students will be taking a field trip to Upland Hills Farm on Friday, October 19. The bus will be leaving Stadium Drive Elementary promptly at 8:45 a.m. and will be returning back to the school at 2:15 p.m. We plan on going rain or shine, so be certain to dress your child appropriately. We will be outdoors the majority of the day. Chaperones and students will need to bring a completely disposable sack lunch to enjoy at the farm’s picnic area. The bus is able to accommodate up to 5 parent chaperones. If there are more than 5 parents that would like to attend, you are welcome to drive and join us at the farm. If you are a chaperone that is driving separately, you will still need to meet us at the school in the a.m. and will be required to stay at the farm until the students have boarded the bus. Parents who are not able to stay for the duration, but would still like to come, are welcome to join us, however, you will not be considered a “chaperone” and will not be assigned a student group. Please indicate on the chaperone form if your preference is to ride the bus or drive separately. We will accept the first 5 responders for the bus ride! You will be notified before the trip whether you have been chosen to ride the bus or meet us there. While at the farm, we will enjoy a barnyard animal show, go for a hayride, pick a pumpkin, and many other fun activities! It promises to be a great educational experience and a whole lot of fun! Cost for the field trip is $10 per child and $10 for chaperones. You will be required to pay this fee whether you are riding the bus or meeting us there. Please complete and return the attached permission slip form for your student AND the Criminal Conviction History form if you intend to chaperone. Both forms are due to the teacher by October 5.